When will be Fake! The Great Masterpiece Challenge next episode air date? Is Fake! The Great Masterpiece Challenge renewed or cancelled? Where to countdown Fake! The Great Masterpiece Challenge air dates? Is Fake! The Great Masterpiece Challenge worth watching? Giles Coren and art historian Rose Balston host Sky Arts' new competition which challenges members of the public to identify a host of imitation artworks which have secretly replaced multimillion-pound masterpieces in galleries and museums around the UK. Giles Coren and Rose Balston are at the National Museum Cardiff, where a fake by Antonia Williams is hiding among 10 British landscapes. Can the public spot it? Giles Coren and Rose Balston are at the Walker Art Gallery in Liverpool, where members of the public are challenged to spot a flawless fake by artist Nicholas Pace. Copyist Anne Wright tries to trick the public by placing a fake in the Guildhall Art Gallery's collection. Will they be fooled? Giles Coren and Rose Balston host. 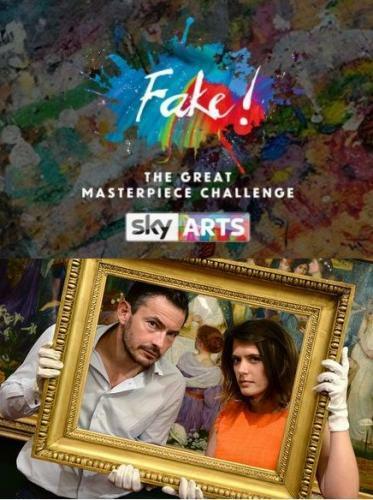 Giles Coren and Rose Balston host the final challenge as 10 members of the public attempt to spot a fake by master forger John Myatt at Oxford's Ashmolean Museum. Fake! The Great Masterpiece Challenge next episode air date provides TVMaze for you. EpisoDate.com is your TV show guide to Countdown Fake! The Great Masterpiece Challenge Episode Air Dates and to stay in touch with Fake! The Great Masterpiece Challenge next episode Air Date and your others favorite TV Shows. Add the shows you like to a "Watchlist" and let the site take it from there.